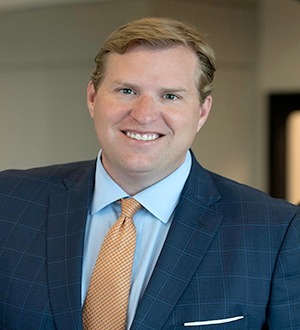 Brad Lampley serves as legislative counsel to businesses and trade associations with interests before the Tennessee General Assembly and Tennessee state government. He has particular experience advising clients in the energy, environmental, health care, insurance, legal services, public utilities and transportation industries, and he brings years of experience as a corporate litigator to the advice he provides to government relations clients. Brad also has extensive experience advising national and multinational companies on economic development matters, negotiating state and local incentive packages for companies that wish to relocate their businesses to Tennessee. He recently acted as Tennessee counsel for a major global health technology and consumer electronics company that was considering where to establish a new North American center for excellence. Brad negotiated state and local economic development incentives, assisted the client on navigating a myriad of governmental and public relations issues, and helped coordinate local strategy. That company ultimately decided to bring more than 800 jobs to Nashville, constituting one of the biggest corporate relocation's to Tennessee in the last decade. It also represented the second major headquarters-type relocation that Brad had negotiated in the last three years. In 2013, Brad was appointed by Tennessee Governor Bill Haslam to serve on the University of Tennessee Board of Trustees, which is the governing body of the University of Tennessee and its five campuses across the state. Brad has also served on the board of directors of the Franklin American Mortgage Music City Bowl for over 15 years, during which time the bowl has grown dramatically in prominence in the college football landscape, now drawing an average economic impact of more than $18 million per year for the Nashville area. He served as the bowl's Chairman in 2011 and 2012 and is currently serving as the Bowl's Co-Chair. Brad also serves on the Board of Directors for the Tennessee Sports Hall of Fame. Brad is Leader of the firm’s Government Relations team and Partner in Charge of the Nashville office. Brad played offensive tackle for the University of Tennessee Volunteers’ football team, where he was a member of Coach Phillip Fulmer’s first recruiting class and was part of one of the winning-est senior classes in Tennessee football history. While at UT he received numerous academic and community awards, including being named to the Southeastern Conference's All-Academic team three times.